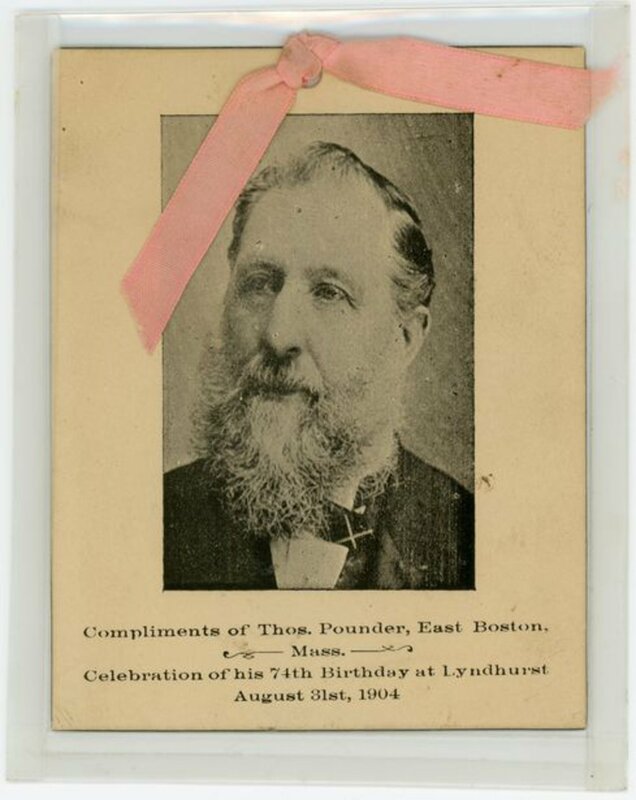 One invitation for 74th birthday of Thomas Pounder, August 31, 1904 at Lyndhurst. With photo of Thomas Pounder. Also available in digital format via <a href="http://images.ourontario.ca/lakesandislands/2283721/data?n=418">Lakes & Islands Times Past</a>. Boîte: Album "G Photographs 1986-1993"